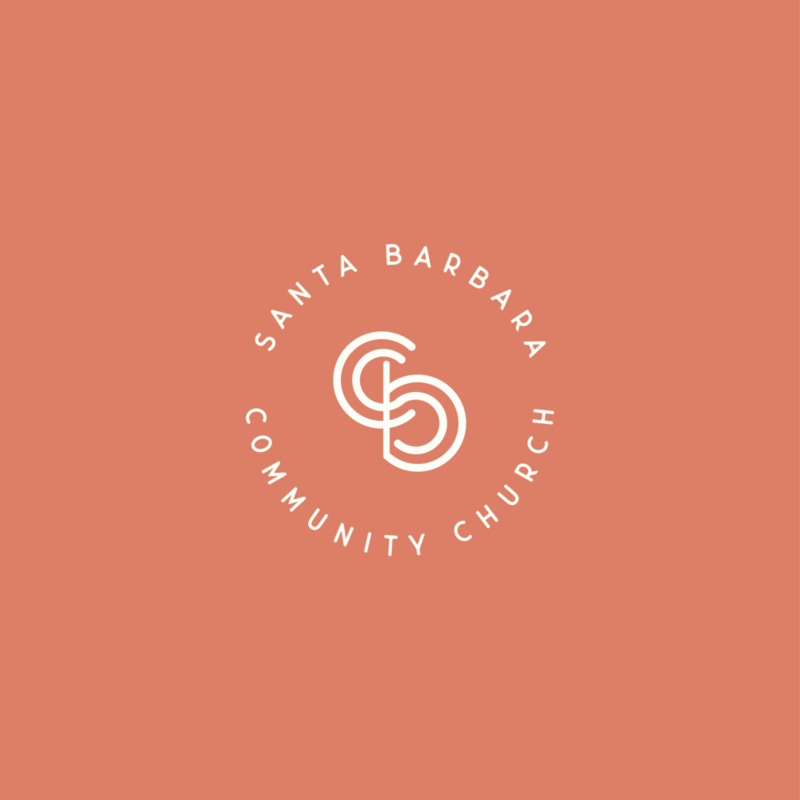 Santa Barbara Community Church is a non-denominational church located in Santa Barbara, California. 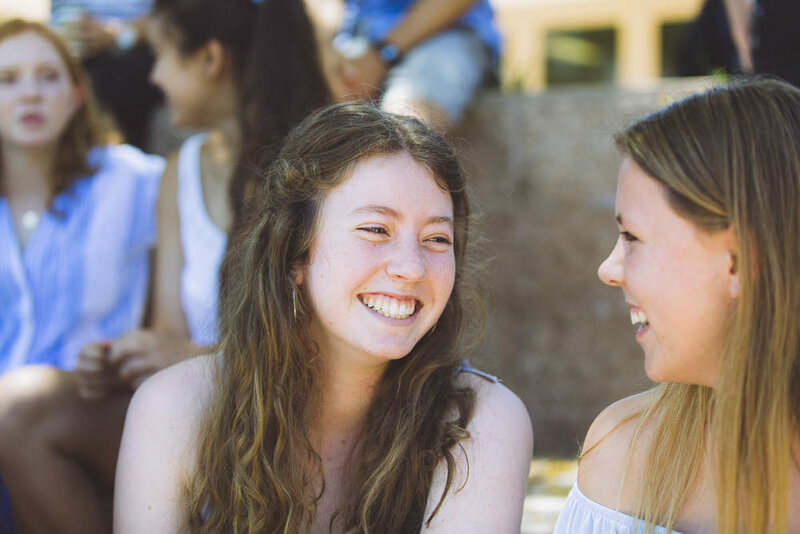 Their mission is to be a community of believers looking upward to God, growing inward in Christ and moving outward by the Spirit for the glory of God. Using their rich history + values, we created a full brand identity including brand development, strategy, a logo system, collateral + a new website. 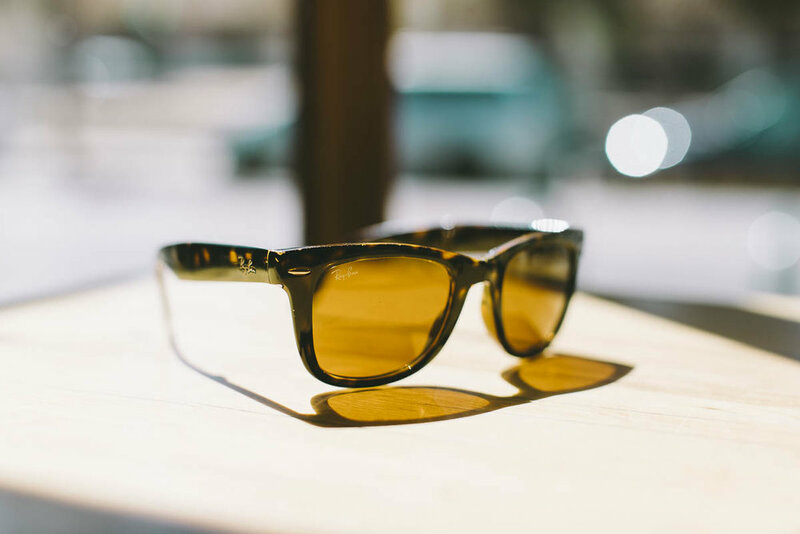 Executive Pastor Karen McLean reached out to Purveyor House to make SB Community’s desire for brand consistency a reality. For the first 30+ years of their existence, the church’s language, logos + look lacked cohesion. The value + practice of community is a huge part of who they are and how they operate, so it was important to craft the brand, strategy + graphics to communicate that in a simple + thoughtful way. Their team also wanted to ensure their brand reflected a simple, modern + relaxed tone in every aspect a congregation member or visitor would see. We gave the SB Community branding team, staff + elders homework that allowed us to hear what they value, their core beliefs + what they think their organization does well. At the same time, we dove into the current state of their brand, looking at white paper, outward facing communications + visuals. We found that, while they do an amazing job living what they believe + value, they weren't able to deliver their brand publicly it in a consistent way with the impact it deserved. Through this process, we gained an understanding of where the focus needed to be for communication + visuals and how to make community the cornerstone of our strategy. Using our exhaustive brand strategy, we moved on to define the visual direction. We started with mood boards (above), showcasing the imagery we would need to capture, and created a diverse logo + color system with the flexibility to encompass varying ministries + visual applications while allowing for future growth. 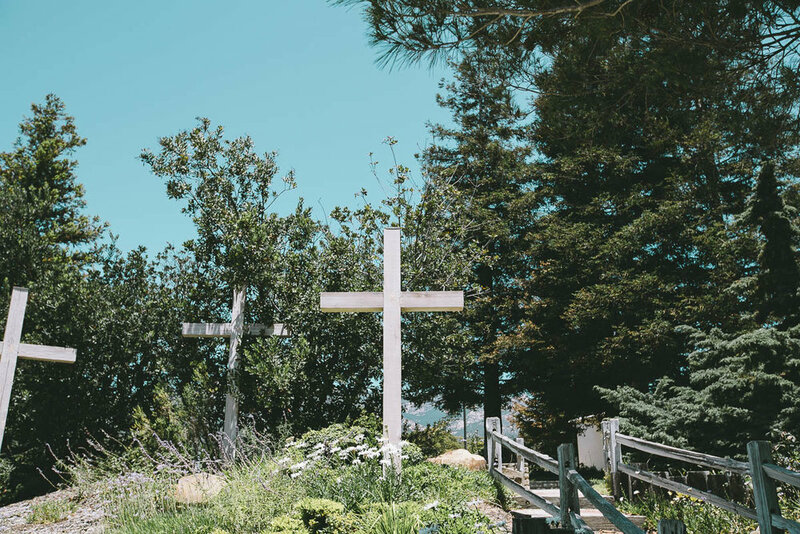 We also wanted to take into account the way their organization values + lives in community as a church body and also in the greater Santa Barbara area. We created a color palette based on the vibe of the church culture and the natural beauty that surrounds them. As strategists, we saw an opportunity to use color to communicate that SB Community is a relaxed + authentic environment without being too trendy. We decided to build the brand around the word “community” and a mid-blue color, weaving in a broader, more complementary color palette to invite in life + variety across multiple applications. We took the same approach with their logo system. 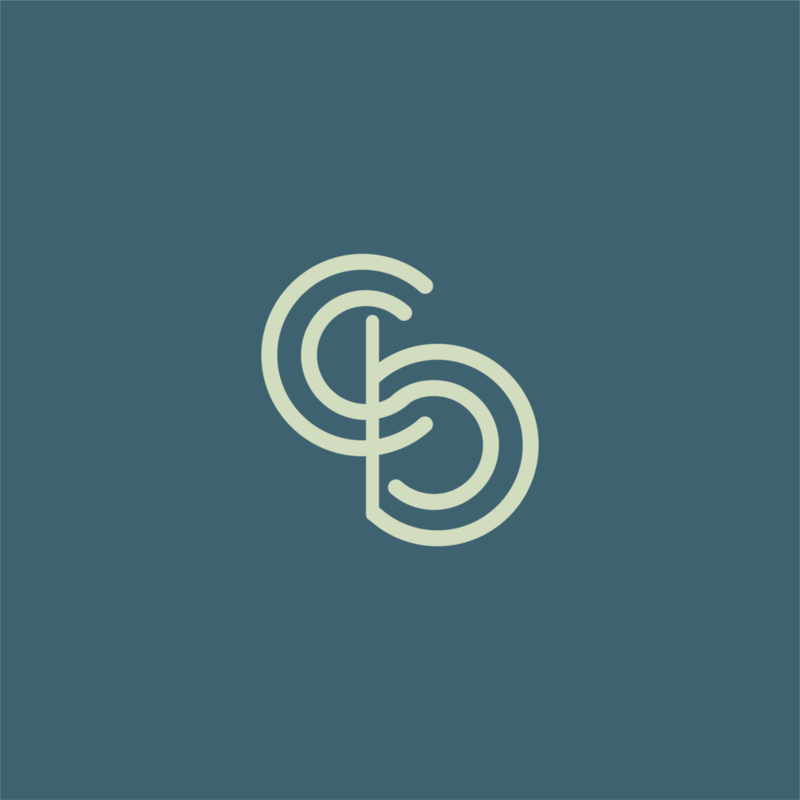 We created a dominate logo with a complimentary simplified version as well as an icon + ministry badges using the historic acronym for their name, “SBCC”. In our work together, we also extended their identity onto their new website + collateral materials to ensure the brand was consistently represented across the board. 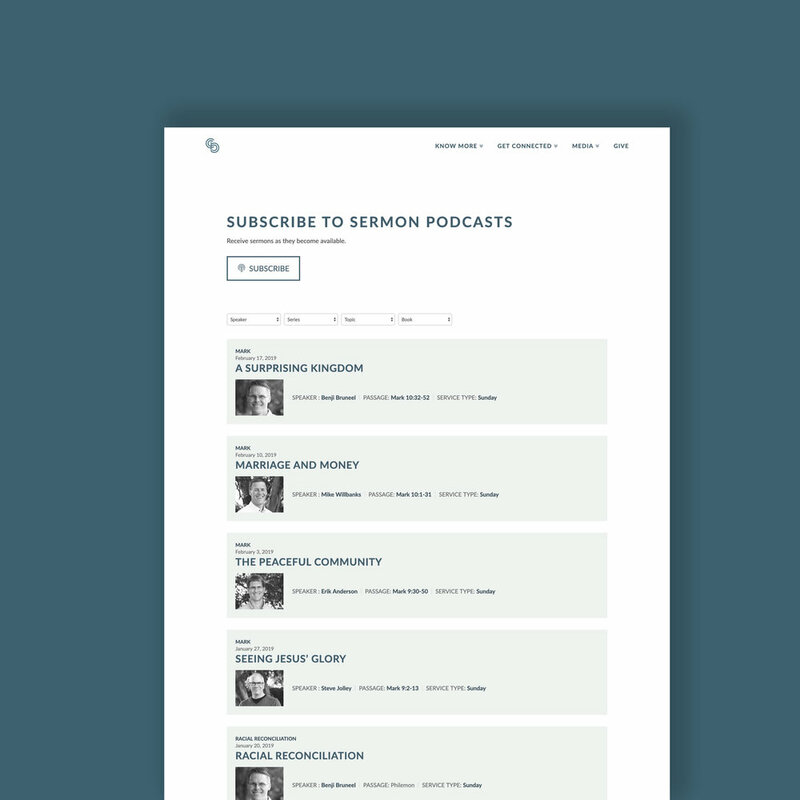 SB Community previously used their website primarily as a way to communicate with members and provide weekly materials such as announcements + sermons. We wanted to extend that offering and make their website a place visitors could get important information and a sense of SB Community’s spirit through the copy + visuals. In partnership with Alan Brozovich of Metal Bird, we developed their existing Wordpress site integrated with X Theme to achieve the look + user experience SB Community was after, and we featured photography captured by Lex & Ev. We knew using only stock photos just wouldn’t do. Many church-type stock photos are borderline cliché + heavily overused. This brand’s authenticity and emphasis on living + growing in community deserves imagery that is beautiful and represents who they really are. In partnership with Lex & Ev, we facilitated an all-day church + Santa Barbara photoshoot to capture the spirit of SB Community. The photography captured can be seen on SB Community’s website + collateral. We used these images in designing all of the materials needed to build a consistent brand. It was an honor + joy to work with SB Community in developing their brand. From the time we were brought on board with SB Community, we’ve felt like part of their team as we’ve been able to articulate + apply their vision. 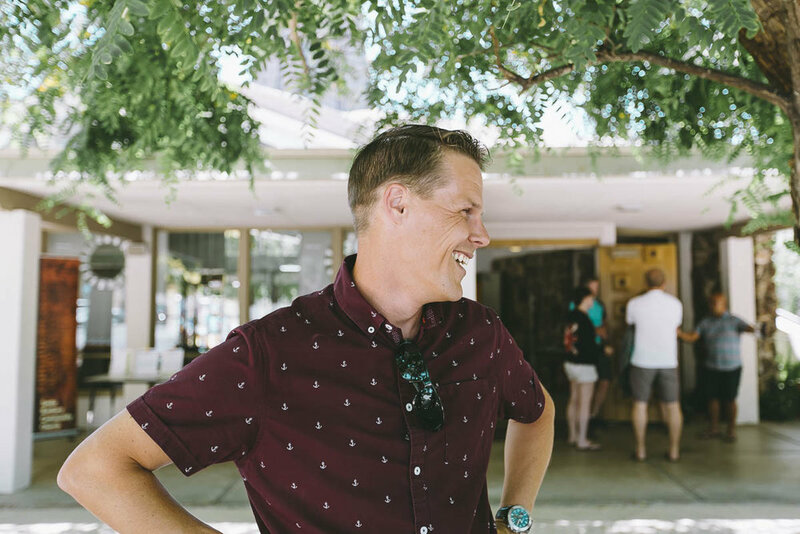 We started with a brand that lacked outward identity + consistency, and we ended with a brand, a website + collateral that is built around a cohesive strategy + beautiful visuals so they can keep looking like themselves for the next 30+ years of church life.